We have always been concerned with environmentally friendly, or Green Building, because we believe it is our responsibility to be good stewards of our earth’s resources. We believe our clients share this value. 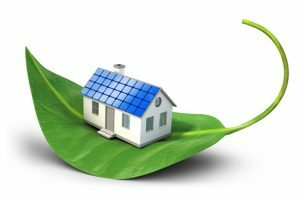 In addition, clients benefit from a cleaner indoor environment and more energy efficiency from their new homes. Building Envelope – A tight envelope to prevent both air and radiant heat infiltration with effective levels of wall, floor, and attic insulation properly installed. Radiant-barrier plywood (Solarply) installation on roof decking and Low-e, insulated glass, high impact windows as standard construction. Indoor Air – Ducts tightly sealed at joints, and effectively insulated for minimum air leakage and cooling loss. We use Low VOC paints because regular paint contains volatile organic compounds; (VOC) many of which are unhealthy, that vaporize and infiltrate the indoor air. High Efficiency HVAC – A professional “Manual J” load calculation for each individual home to ensure proper Air Conditioning capacity so the right amount of moisture is removed while the home is cooled. High efficiency air conditioning units. If you would like to learn more about the Johnson Homes building differences, please contact us today.